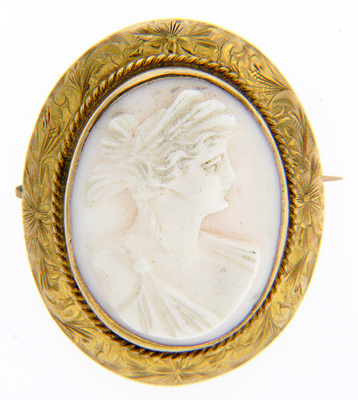 This antique cameo has beautifully engraved mounting and holds a shell cameo with a ladies profile. 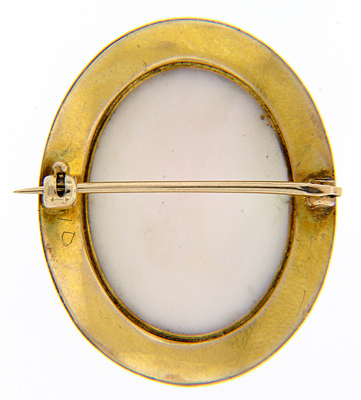 Twisted rope details the surrounding frame. It measures 1.25” tall, 1” wide and .3” deep. Circa: 1880.